I know that this is mined territory but I assume that we are all wondrously competent to think in more than one mode and that all the time. The believer can tell me all kinds of things about her trust in God. If I ask her to let her two year old kid run around alone in a big city – God takes care, especially of innocent kids… that will be the end of all that trust in God. (The believer intervenes: God wants you, the parent, to take care! I: Ah, he wants you to act as if he does not exist?) Look for examples elsewhere in life then. Believers act pretty rational – as if there was no God – 99% of the time. And I would add: not only are believers born non-believers, they are in constant doubt. They will encounter this and that crisis of their faith. Belief is a thing you have on certain questions and in certain situations. Now, I am not quite sure about the atheist’s 100% atheism. 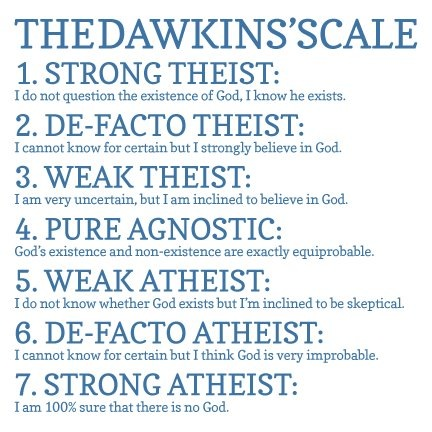 If you confess your atheism, well, then you should be proud of it and struggle to give yourself a top position on the Dawkins scale. Yet, let me ask: What exactly happens when you gamble. You throw the dice and you wish for a certain number to occur? Should the universe do that for you? Who is the addressee of that wish? It has no addressee? It’s just a wish for something the immediate future might bring? Aah… You are aiming at something bigger, you hope it will happen, you promise you will do the right thing if it will happen? Or: everything has turned out quite fine, you have your friends around you and you feel just …grateful? I am not quite sure what kind of world model that is. Whether you will pray in more desperate situations? – well, not necessarily. After months of increasing weakness (or seconds of excruciating pain) the atheist might just wish that it all could be over and nothing. The big event of your own death does not necessarily turn you into a believer (so my experience). Can atheists understand belief? Well, yes. We are all quite sympathetic. We can share feelings – even if we might prefer to tag them immediately as feelings we do not personally share. 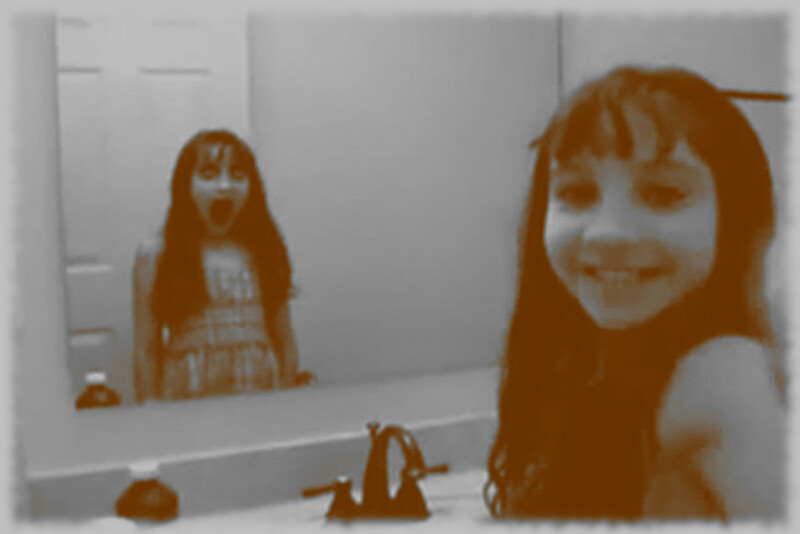 But watch a horror movie with loads of wild and utterly unbelievable things happening – ghosts, zombies, thoughts transmitted, telekinesis, and so on and so on. If you love movies you will be trained to suspend your disbelief for one or two hours just for the fun of going through all these feelings, anticipations, and sudden beliefs in an emotional roller coaster. The cool thing is, of course, that we can leave the movie with absolute clarity of mind – you decide which reality-model you will run when, at least to some extent (don’t think of your dreams later that night when answering this question as an atheist). I’d say we are pretty multilingual when it comes to systems of beliefs. PPS. Positivism is, by the way, not a belief but a method.